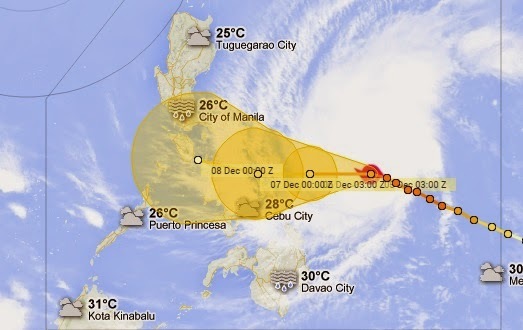 Updates Dec 5: Super Typhoon Ruby or Hagupit: Signal no 2 alert in Visayas, Luzon. Super Typhoon Ruby or Hagupit intensifies packed with 215kph of wind amd gustiness up to 250 kph. PAGASA said Ruby may bring an estimated rainfall of 7.5 to 20 mm per hour (heavy to intense) within its 700-km diameter.